SINGAPORE - Fifty hawker stalls and restaurants have made it to the Bib Gourmand list for this year's Michelin Guide, up from 38 last year. Among them are 17 new stalls, and five have been dropped from last year's list. Among those new on the list are mutton soup Chai Chuan Tou Yang Rou Tang in Bukit Merah View Food Centre, Chuan Kee Boneless Braised Duck at Ghim Moh Market & Food Centre, Fresh Taste Big Prawn Noodle at Zion Riverside Food Centre and Rolina Traditional Hainanese Curry Puff at Tanjong Pagar Plaza Market & Food Centre. New restaurants on the list include Sik Bao Sin in Geylang, an air-conditioned offshoot of zi char place Sik Wai Sin, also in Geylang. 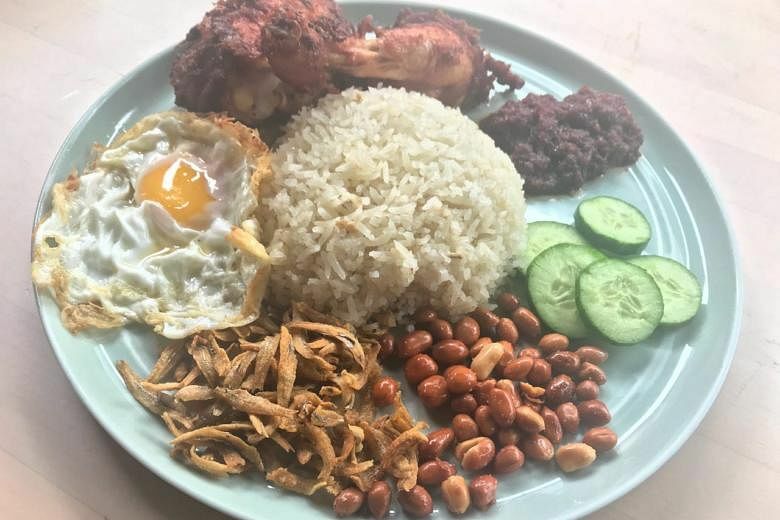 The Coconut Club in Club Street, which serves nasi lemak, made the list, as did Muthu's Curry in Little India. Dropped from the list are Peony Jade, Shish Mahal, 328 Katong Laksa, Liang Zhao Ji Duck Rice and ramen restaurant Tsuta. 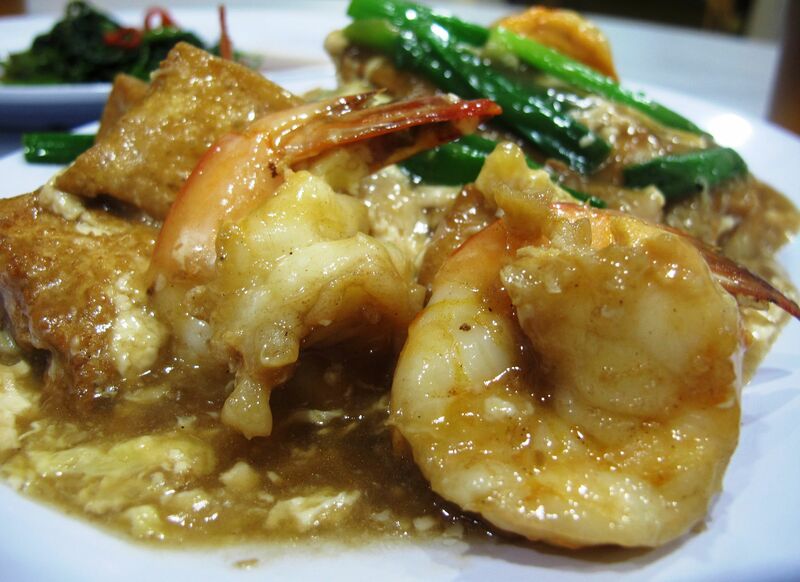 The Bib Gourmand list recommends places that offer good value meals. Restaurants to be awarded stars will be announced at the launch of the guide, to be held on July 25 at Resorts World Sentosa. This is the third year of the Michelin Guide Singapore. 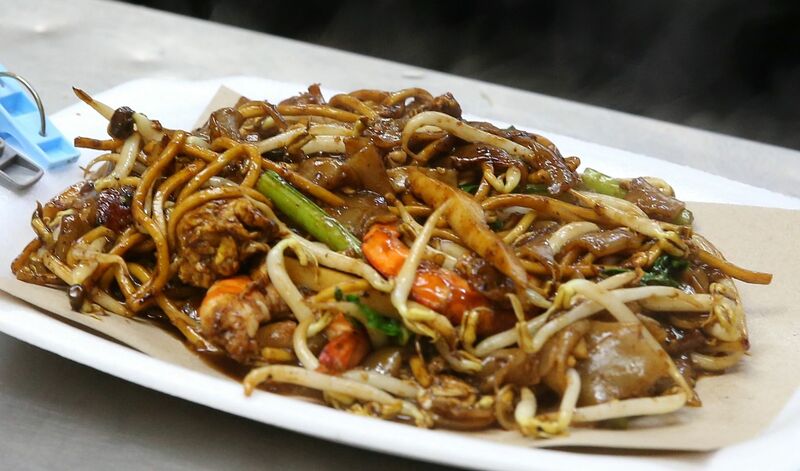 The inspectors cast their nets wider in drawing up the Bib Gourmand list, visiting popular haunts such as Ghim Moh Market & Food Centre, Zion Riverside Food Centre and Bukit Merah View Food Centre. Those living in the eastern part of Singapore will either cheer or rue the list. Observers have pointed out that few quality eating places there have made the list. 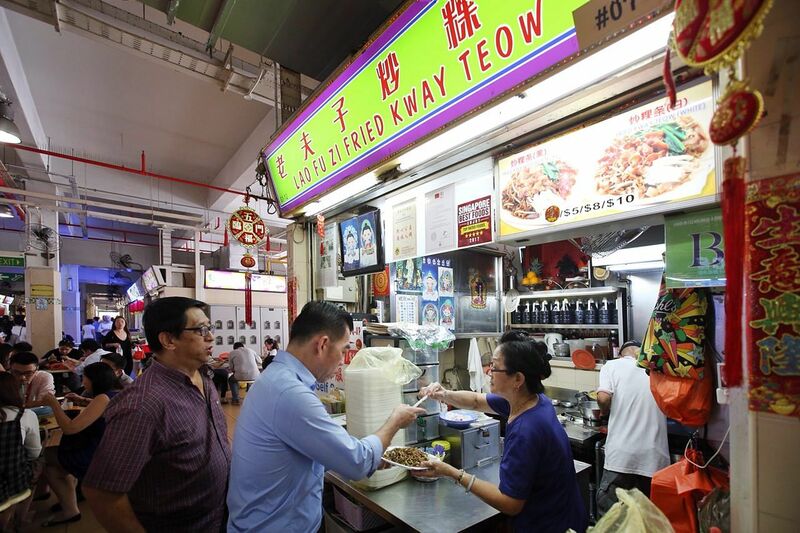 This year, the inspectors gave the east some love, picking hawker stalls at Old Airport Road Food Centre and Fengshan Market & Food Centre. 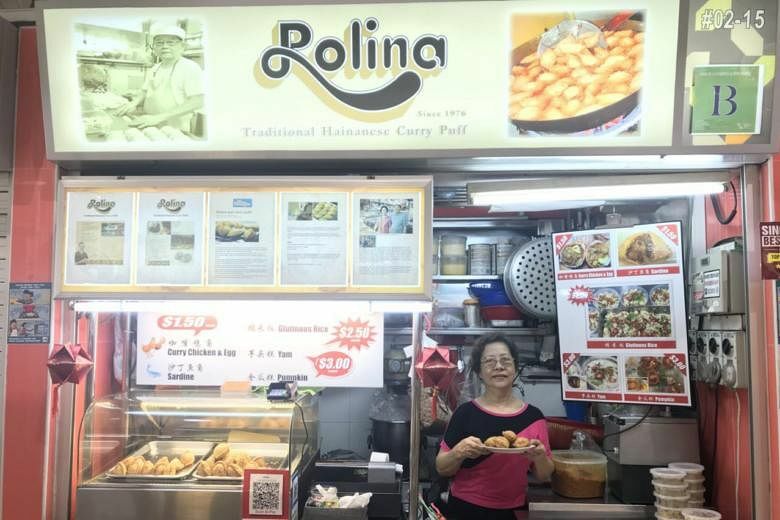 Mr Bren Tham, who runs Rolina Traditional Hainanese Curry Puff, told The Straits Times that he was shocked but very honoured that his brand has been recognised. "It is a local stall that was being passed down by my dad and I hope it can be recognised not only locally but even regionally as well," said the 43-year-old. His 78-year-old father, Mr Tham Niap Tong, used to have two stalls in Tanjong Pagar and at Serangoon Gardens, but had to close the latter after Chinese New Year this year as he was getting on in age. “I grew up helping my parents from young. It is in my blood. If we are not going to continue a traditional trade like this, people will lose out on the taste passed down from the older generation,” added the younger Mr Tham. Mr Kasivishvanaath Ayyakkannu, chief executive of Muthu’s Currinary which owns Muthu’s Curry, said that he was very surprised and happy after reading the news online at about 10am. 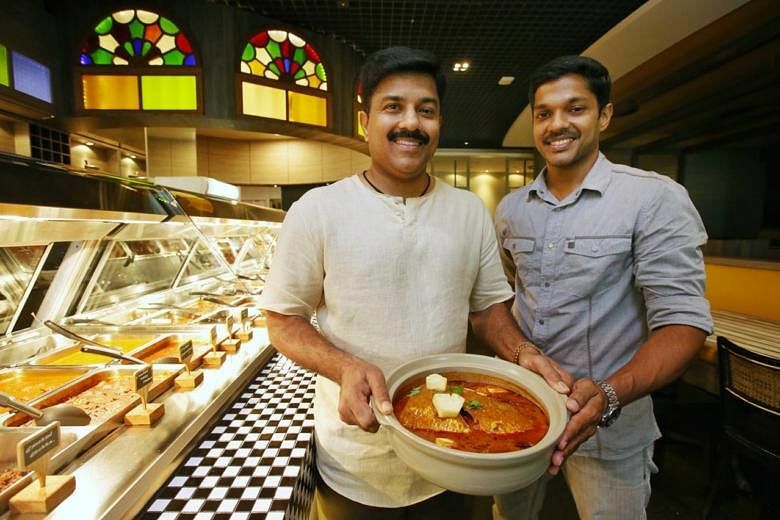 "The award is recognition for what we have done so far and serves as motivation for us to do even better," said the 47-year-old, who is the eldest son of the founder of Muthu’s Curry. "I am very excited about the award and hope it will translate into sales. I am confident we can meet any increase in demand for our food as we have a central kitchen that produces our sauces," he said. He added that the pressure is on to meet the expectations of new customers who may now want to dine at the eatery because of its Bib Gourmand award. "We have to stay humble and keep doing what we are doing, which is providing good food and service in a nice ambience for our customers." The Coconut Club's chef and partner Lee Eng Su, 39, said that he started receiving calls from friends, such as food blogger Leslie Tay of website ieatishootipost.sg, on Wednesday morning. "My first thought was worry, because now our lines may be filled with international customers and locals might take longer to get a table," Mr Lee said. However, the chef of 15 years added the news was still quite exciting. "The Michelin Guide is a well respected document of good food. To be in it is an honour," he said. “Nothing changes for us because the work we do every day is about our own goals. Taking care of our staff, looking after our families. None of the work we do is for the Bib Gourmand,” he added. 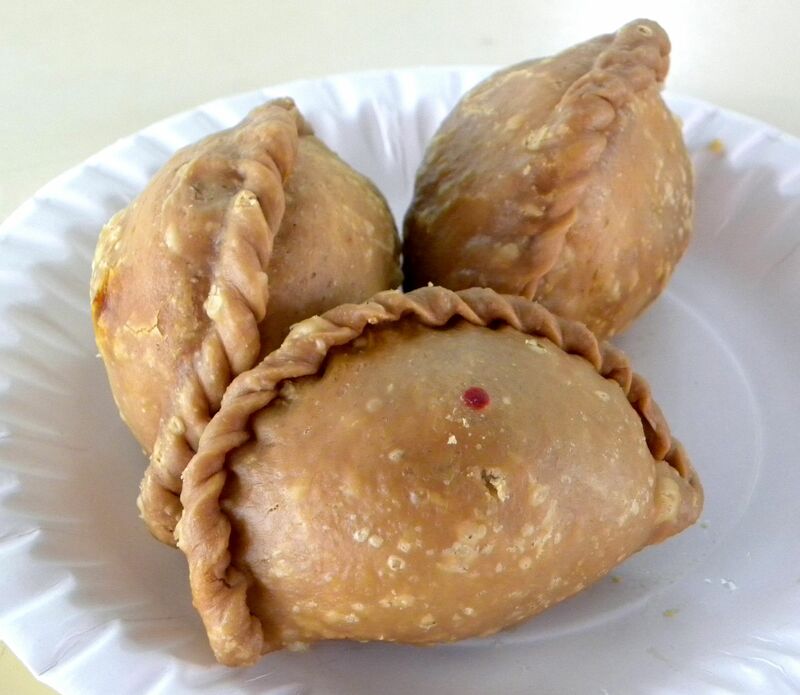 She added: “I’m happy that they are listed in the Bib Gourmand. Maybe they can open more stalls and I won’t have to queue for seats." Sik Bao Sin owner and chef Desmond Chia, 50, said that he was not expecting to win the award as he had only started his eating house five years ago. He added that long-time customers of his father's Sik Wai Sin Eating House were the ones who encouraged him to start his own eatery back then so as to carry on his father's tradition. His father retired in 2013. "I’m focused on serving my customers the best food with the best taste that I can come up with," he said, adding that he started learning how to cook from his father at 20 years old. Mr Chia's 50-year-old wife, Mrs Joanna Chia, said that she found out about the news from Facebook. “This is a wonderful surprise to mark our fifth anniversary. My brother was the first to message me at 9am. I went online to check the news. I was thrilled and immediately told my husband," she said. Mr Chia added that he had been in disbelief. He said: “I asked my wife several times if she was sure she read the news correctly. I was overwhelmed. My wife told me my hard work paid off." While he is aware that expectations from customers would likely go up, he said that all he can do is "to keep moving forward and doing my best". He added: "I have been trained to take pressure of demanding customers and a full crowd. I am the only chef in the kitchen, so I hope my customers will be understanding if their waiting time increases when we get more customers." 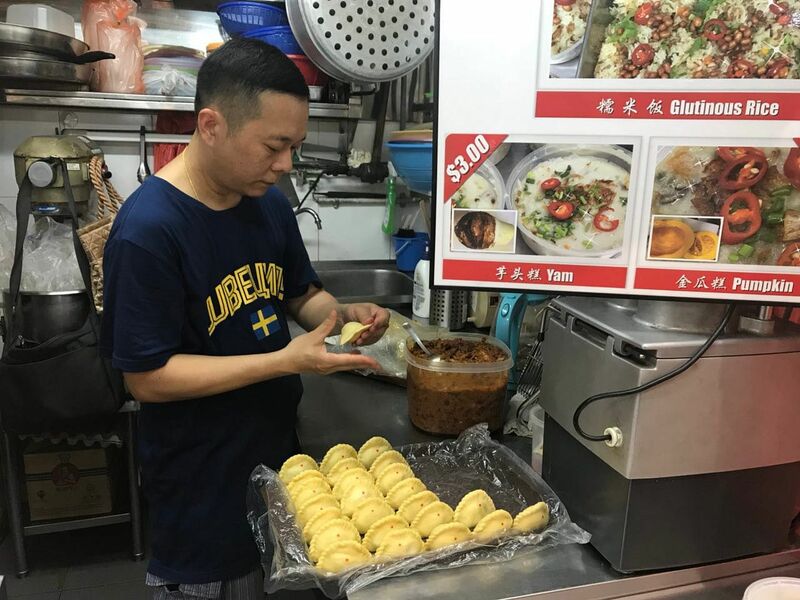 Regular customer of Sik Bao Sin, Mr Chew Thye Chuan, said he works in Woodlands but is willing to make the trip to Geylang once or twice a month. "That should tell you how much I like the food here. It is inexpensive and offers good value for money," said the 66-year-old who works in the beverage industry. 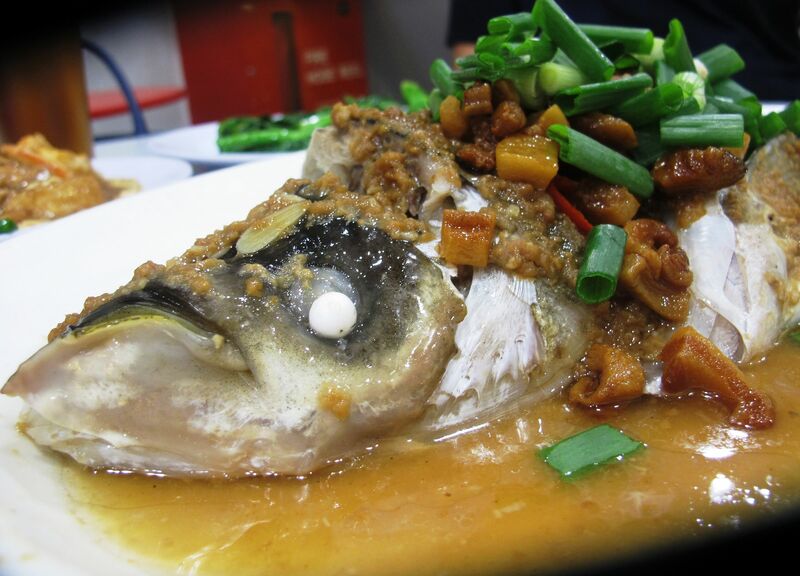 “I am quite confident Sik Bao Sin can maintain its quality of food (even after winning the Bib Gourmand) because it has been very consistent since it opened," he added. 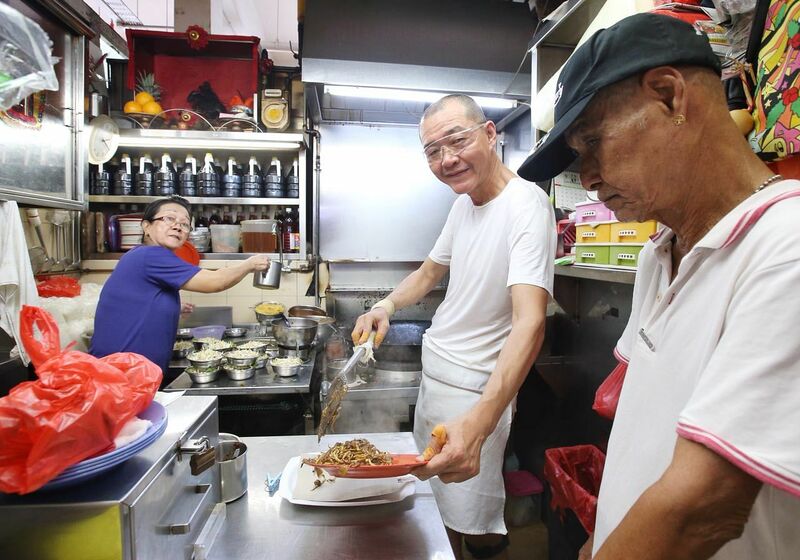 Over at Lao Fu Zi Fried Kway Teow in Old Airport Road Food Centre, stallowner Tan Lee Seng said that his mother, Madam Kuah Quat Keow, started the stall 30 years ago. She died last year at age 71. “I am very happy I won this award but also very sad that my mother is not here with me to share the joy of this win. The credit for the award goes to her as she started the stall and taught me everything about it," said Mr Tan, as his eyes reddened.